* Proof reading karte waqt maine kaafi hadd tak ghalatiyon ko theek karne ki koshish ki hai. Lekin main bhi ek insaan hun. Mujhse bhi ghalati ho sakti hai. Lehaza agar aapko kahi bhi ghalati nazar aaye to plz mujhe zaroor batayen taaki islaah kar sakun. In this part the Shaykh (hafidhahullaah) explains that the call of all the Prophets and Messengers was one. 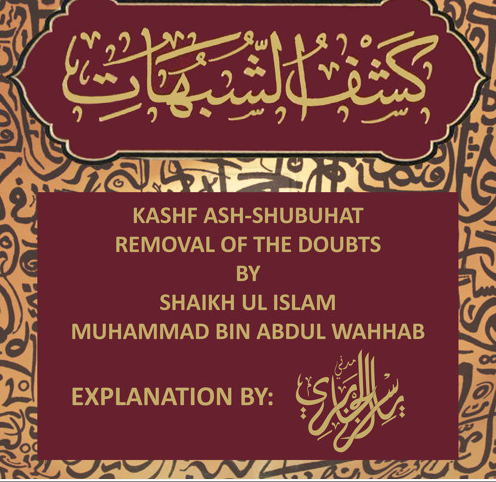 In this part the Shaykh explains the issue of whether belief in Tawheed Ur-Ruboobiyyah is sufficient for the Muslim, and the Tawheed that is requested from us to have belief in. In this part the Shaykh (Hafidhahullaah) explains in detail that the unification of the Ummah will not come about except through Tawheed. A very important read. In part two the Shaykh Allaamah Saalih Al-Fawzaan (Hafidhahullaah) stresses the importance of having a sound and firm foundation and freeing oneself from Shirk and its People. First of an eight part series. 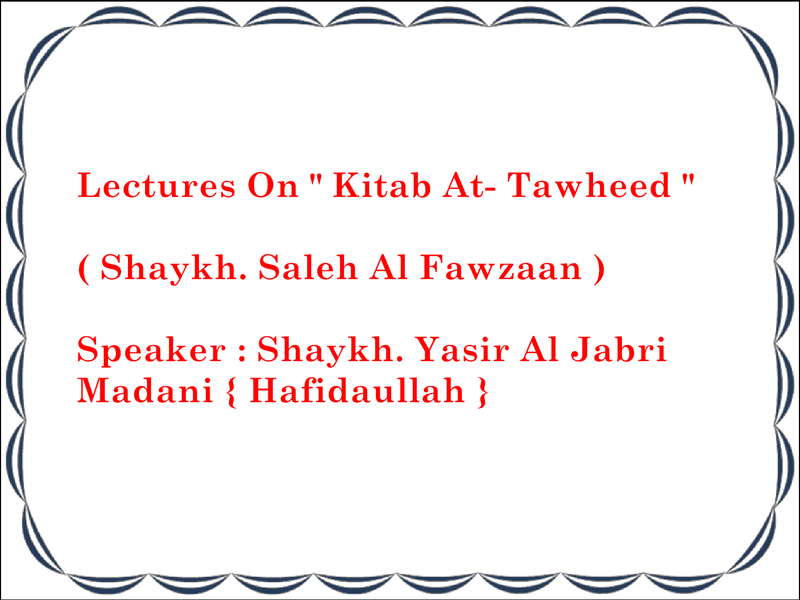 A transcribed lecture delivered by Shaykh Allaamah Saalih Al-Fawzaan on the important subject of Tawheed, which is obligatory upon each and every muslim to have knowledge of – A Must Read! This article contains statements from the Salaf on the issue of the names of the Angels and the permissibility being named after them.